Gangneung, on the east coast of South Korea, will be co-hosting the Pyeongchang Olympic Winter Games in 2018. There will be a vast choice of cultural events. Located less than one and a half hours from Seoul and just 10 minutes from Pyeongchang on the new high speed train, Gangneung is a popular destination among Koreans. All the Olympic ice events like hockey, skating and curling will be held in here. Beyond everything the Games have to offer, the city is also keen to provide visitors with a memorable cultural experience: a rich programme or cultural events involving local traditions and foods will be on offer throughout the Olympics. Part of Gangneung’s well-preserved heritage is the Ojukheon site. 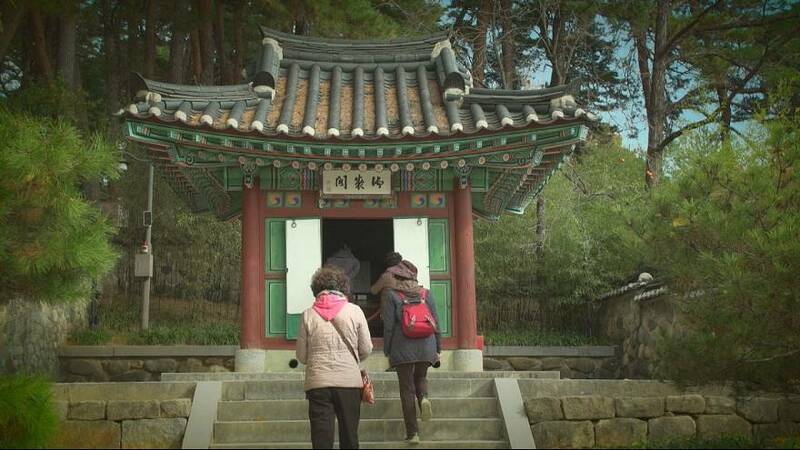 It is the birthplace of the famous philosopher Yulgok, one of the fathers of Korean neo-Confucianism. The 600-year old Ojukheon House, where he was born, is one of the oldest wooden residential buildings in Korea. Visitors to Ojukheon traditionally stop for at the memorial to burn incense and meditate. Ojukheon is also home to black bamboo, a fascinating plant, which changes colour several times throughout its life. No visit to Gangneung would be complete without a trip to the local market. Tourists traveling here for the Games will have to visit the Jungang fish and food market, to enjoy the taste, smell and colours of Korean cuisine. Don’t miss the Korean pancake or the fried chicken – some of the most popular among Korea’s tasty street foods. We also tried out a traditional restaurant. Korean cuisine in this province is largely based on rice, vegetables and, of course, seafood. Korean cuisine is famous for all its side dishes served with the meal. Koreans have perfected the art of preserving food and many of the side dishes are pickled, salted and… spicy! “I guess you have never tasted such a seafood-rich dish. It’s very healthy. And it’s a traditional dish from this region,” says Jeo Bonh-Ja. Throughout the 17 days of the Olympic Winter Games, sports fans and tourists will be able to enjoy an intense programme of events from across Asia. It’s hoped South Korea will be not only be able to build up the legacy of the Winter Olympics but also establish itself as a regional cultural hub even after the Games are over.